Where you can literally shop the whole day! 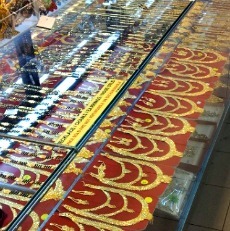 When one is thinking of buying lots of stuffs, s/he doesn’t have to look further than the Mustafa Centre at Little India! Why? Because this mega shopping mall sells almost everything you can find in a super market – and?opens?24 hours! I love to enter this mega mall. Whenever I step in, it just makes me feel that I’m gonna do?all?my shopping there. And seriously, I don’t think I’m going elsewhere to shop, unless I really can’t find what I want. What’s more, I will always see tourists pack the shopping centre. Lots of them. Seems like they will also not forgo the chance to shop at this famous shopping mall of Little India! And Let The Shopping Begins? Just before you enter, there’s a money changer at the entrance for you to change your foreign currencies to Singapore dollar. Yes,?get more?as you might need to?spend more?anyway! There will also be a security check at the door, and you might not be able to bring your bulky bags. You’ve to leave them on the shelves (there will be security guards watching), but do bring in your valuables! There are 6 levels in Mustafa Centre – Basement 2 to Level 4. Each level sells different types of goods. 6 levels of shopping! So now you know why it feels so good to shop over here! At the Books section, what you can find here, but not in other bookstores, are the?Tamil/Bollywood magazines! Though I don’t know Tamil, I can imagine a Bollywood fan’s delighted look when s/he knows there’s so many magazines for her/him to choose from! There’s also a section for you to pick?fresh flowers. Don’t know which flower to make your bouquet? Fret not. There’ll be an assistant there to help you! 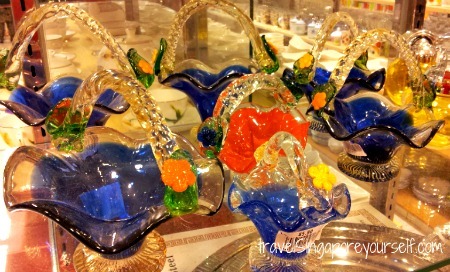 How about shopping for a new tea set, or these cute little glass baskets for your home? 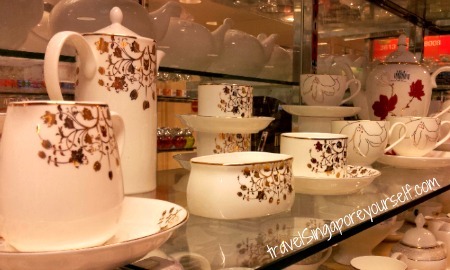 They do have some unique designs of tea sets, which make them suitable to present as gifts! Now you must be wondering… where’s the?food section?! Of course there’s food sold at Mustafa Centre! If you’re watching a late night movie, here’s the best place to get some snacks to go along! Besides having all the regular snacks, cookies, biscuits, chips you can get elsewhere, you can find different types of Indian snacks, that you will otherwise see only during Indian festive period! So now you may ask,?“Which’s nicer?”?I don’t have a clue, but I would get a few bottles to try first, then come back again! After food, the next item most people would love to shop for, are?clothes! ?Can I find what I want? I’m not sure about you, but I can say I’m indeed spoilt for choices here! From Men’s shirt to Sport jerseys … and even Kids’ wear which can come in different cultures! Football fans (like me) out there. 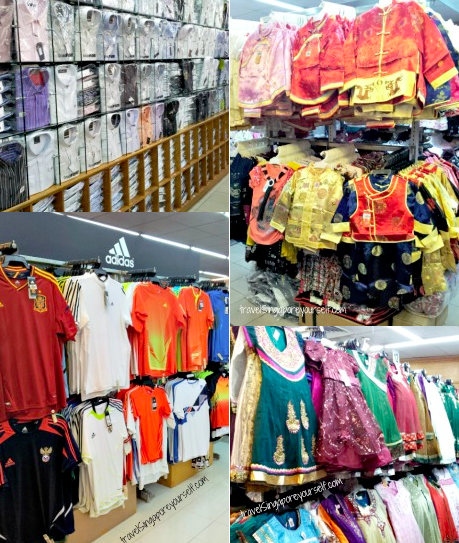 you can get authentic jerseys of your favorite football club for a much lower price at Mustafa Centre, than what you’ll find at their designated brand outlet.?Guaranteed! 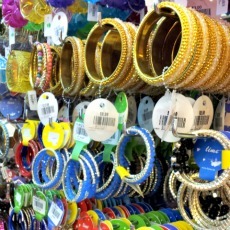 How can you forget the?jewelry and accessories?section, who are the female’s best friends? 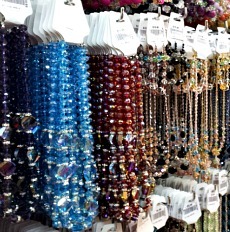 Take your time and choose from all the unique designs of gold chains, necklaces, earrings and bracelets on display! Alright, you probably have finished your shopping. 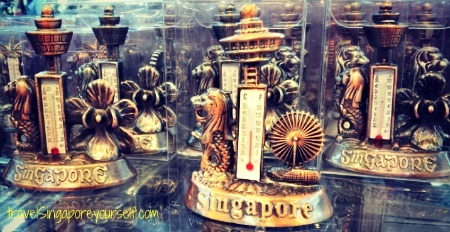 But if you’re visiting Singapore, don’t forget to get some?souvenirs?back for your loved ones! What you see here is probably just?0.00001%?of all the merchandise you will see at the shopping mall yourself. 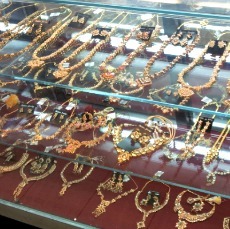 I’m sure you’ll love to visit Mustafa Centre yourself! 2. Take care of your?belongings, as the centre can be very crowded during weekends. 3. Take your time to shop. They open?24 hours! 4. 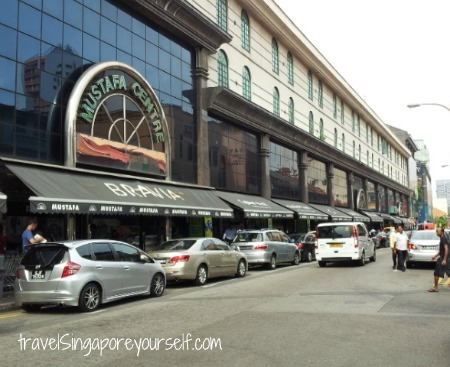 Visit Mustafa Centre as part of your?Little India Tour! 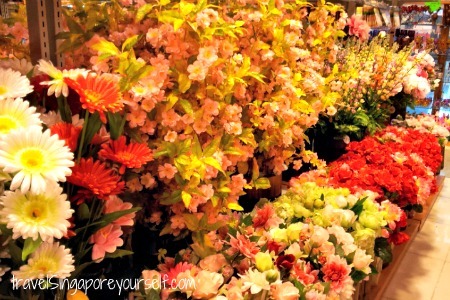 So how’s shopping for you at one of Singapore’s most famous shopping centre? Share with us below! Mustafa Centre scares me a bit because I feel I might get lost in it. However, I might be pressed for time during my short Singapore visit so buying souvenir here is my best option given that it’s open 24hrs. Do you have any tips on how I can do that efficiently? 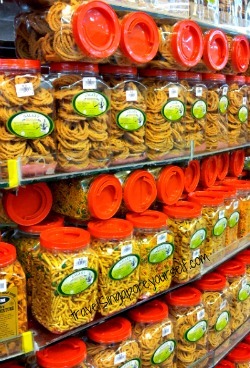 Like what entrance i should use and how to make a beeline directly to the souvenirs and local snacks section. It will help me a lot… Thanks!